When a part or tool goes missing, a production line has to adjust and work around the disruption. If this happens multiple times each day, it quickly eats into fabrication times and revenues. Delays also drive up costs for warehousing, production, labor, and more. It’s a big problem, with a tiny solution. Asset tracking, whether it’s parts, people, or equipment, is incorporating Internet of Things (IoT) advancements with thin tags that can be automatically tracked throughout the factory or yard. IoT Bluetooth Low-Energy (BLE) devices are joining passive RFID in the asset management and tracking space. It’s a new way to track that comes with tradeoffs in battery life and cost against improved functionality. Each excels in distinct ways, and we’ll be considering a few reasons that asset monitoring IoT platforms can be beneficial for today’s manufacturers. Most manufacturing plants rely on barcode scanning to track a component as it moves through production. Workers scan traveler documents after completing each step, and then both the product and the paperwork move on to the next phase. As with any human-driven process, mistakes can occur and slow things down. IoT asset management solutions minimize these risks by updating component location as soon as they arrive. They can even automatically update again as product and paperwork leave a station. Empower your ERP to better understand your operations and have a consistent understanding of where your components are. And save your employees valuable time by reducing unnecessary search time. When exceptions occur and a piece needs to be reworked, traditional barcode systems can break down. The automated nature of IoT asset tracking platforms allows them to update a current status report automatically. ERP systems can take this data to understand how many elements are at each step in the manufacturing process, all without staff having to worry how to scan a barcode when the normal flow is interrupted. Many of today’s large-scale manufacturers employ expeditors in each shift. These team members typically scour the factory floor and different product areas to locate the pieces that are missing or misplaced. We’ve seen partners use multiple expeditors in each shift to be able to locate the components and parts that don’t make it from one work center to the next on time. IOT asset tracking solutions speed up this process significantly. By continuously recording location and movement within the factory, expeditors can significantly speed up their activities. Your team also can often save time spent provisioning. Many asset monitoring IOT platforms can be configured to automatically send out warnings or notices with location information when a certain asset has not moved to the next stage in a certain amount of time. Floor teams are busy. Notifications that a part is ready to move to the next stage or an alert that it has sat in a rework station for hours can be the right reminder they need to keep your processes moving and efficient. Real-time location information enables expeditors to address the most impactful problems as they occur. Active based real-time location systems don’t require assets to pass through specific gates that are common in passive RFID deployments. 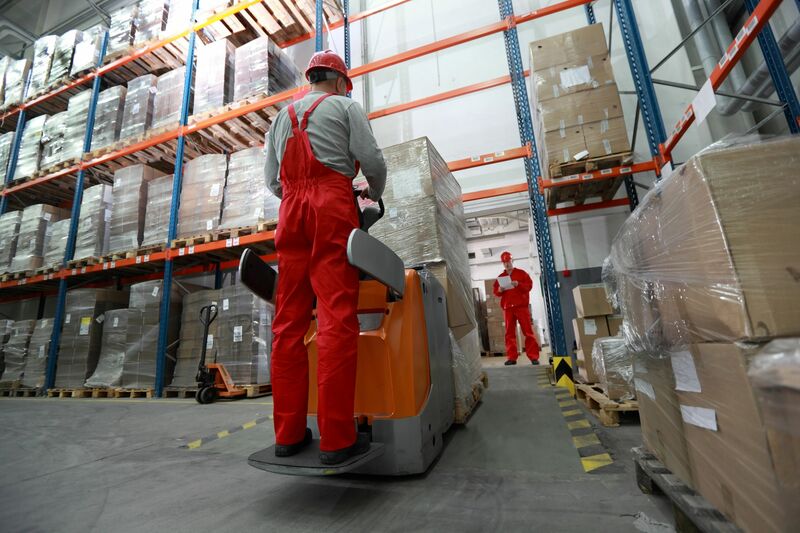 You deploy forklifts, walkie stackers, side loaders, and other equipment where they’re needed. If a tracking system doesn't cover the whole facility, location data for important equipment can be missed, since the most efficient usage or immediate need doesn’t always involve running past a fixed location so that an old RFID gate could track them. IoT asset tracking systems can provide continuous indoor and outdoor mapping using whatever is available, such as GPS, Wi-Fi, and cellular networks. IoT sensors support a long read-range and can even include multiple sensors and data options, allowing you to track physical location, condition (e.g. temperature), as well as overall usage. Automatically keeping tabs on the hours of service for each device can help you ensure they get the scheduled maintenance they need. Protect your people and equipment while meeting its warranty requirements too. At the same time, you’re able to design factory floors to best fit production. Standard IoT-based systems can easily adapt to virtually any layout. You can prioritize your floor for efficiency and adjust as needed without having to remove fixed, expensive readers. Raw ingredients present significant challenges for manufacturers, especially when it comes to perishable goods. The larger a manufacturer scales, the more of an issue they can become without proper asset tracking systems. If you’re using a 55-gallon/200L barrel of cream, for instance, it can be tempting for workers to grab the barrel that’s closest to the door instead of the oldest. Not following FIFO may lead to more spoilage and waste. An IoT tracking system can introduce a check for the worker to verify that the proper barrel is being used or can automatically warn floor leads that a barrel still in storage is nearing its expiration date. Some tags also include thermometers, so warnings can also prevent spoilage if a refrigerator fails or a door is left open. Functionality such as temperature sensing is a significant benefit of condition monitoring made possible by battery-powered IoT systems. IoT real-time asset tracking solutions help manufacturers extend their just-in-time manufacturing processes to their suppliers. You can lower the amount of safety margin you have in your supply chain by tracking assets not only in your facilities but also at vendors and over the road. You can visualize issues with assets weeks ahead of time to understand what you need to prepare for now. It’s a simple and effective way to reduce safety margins and improve your ability to save money and protect your production. Talk to us to learn how you might apply this to your plant and the variety of benefits you might see.